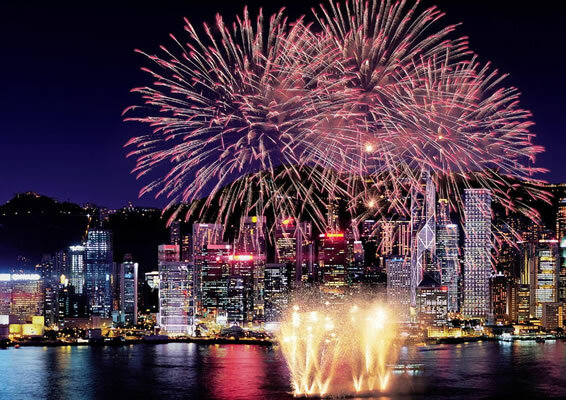 Chinese New Year is an exciting time in Hong Kong. It is like our Thanksgiving, Christmas and New Year celebrations all rolled into one. Our calendar is based on the sun whereas the Chinese calendar is based on the cycles of the moon. Even though they use our western calendar, everyone in Hong Kong knows it is the Year of the Rooster, 4703! This year New Year’s Day was February 9. Hong Kong is a city of modern skyscrapers. Many of the buildings have huge neon holiday decorations on the entire side that faces the water. Some of the buildings are 30 stories high! Kung hei fat choy is the traditional New Year greeting; it means, “Wishing you success and prosperity.” To get ready for New Year’s people go to the Flower Market. 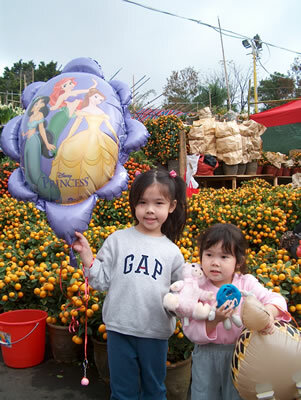 While we were shopping in the Flower Market we made friends with Vivian Tse (5 years old) and her sister Katie (3 years old). They both speak English. Like many parents in Hong Kong, they send their children to English language preschool because they feel it is necessary to know both Chinese and English. Flowers are an important part of Chinese New Year. We are standing with our new friends in front of tangerine trees. The tangerine tree can be compared with our Christmas tree. Tangerines are a symbol of good luck because the word for tangerine in Chinese has the same sound as "luck." Everything has a special meaning. The most common flower for New Year’s is the narcissus. If it blossoms on New Year’s day, it is believed to indicate good fortune. 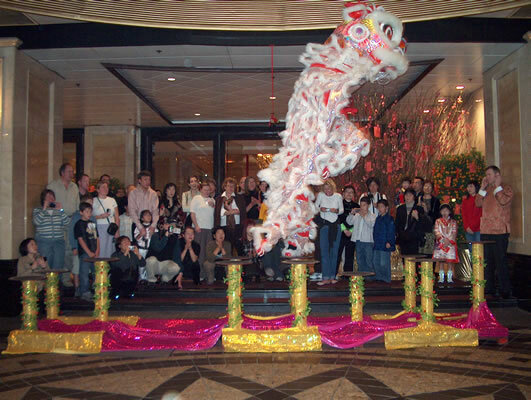 New Year’s morning, the Langham Hotel had a Lion Dance in the lobby to bring good luck and happiness in the New Year. The Lion (two people in a lion costume) danced around to the beat of the drums and clanging of the symbols. In the lobby pieces of lettuce were hanging from the high ceiling, lettuce sounds like money in Chinese. The dragon had to stand on his back legs and jump up to reach it. The Lion Dance was very loud, exciting, and included some acrobatic movements. The Lion Dance has been popular for over 1000 years. At night we went to the parade where there were performers doing dance routines and a lot of floats, even one from Las Vegas, and one from Disney Land. 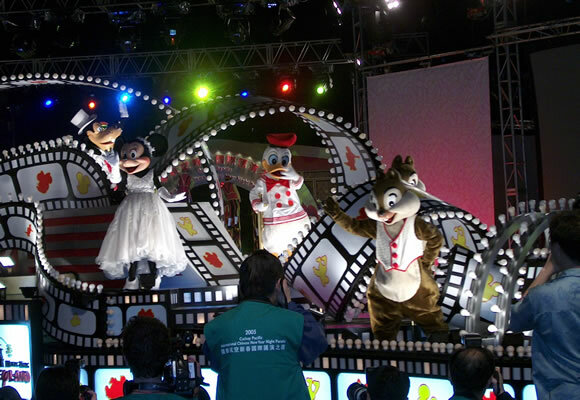 A new Disney Land will open in Hong Kong in September. The parade was very colorful and exciting. The next night we joined thousands of people along the waterfront to watch the amazing fireworks. We think New Year’s is an exciting time in everyone’s country. Do you homework and we will write again from Macau.